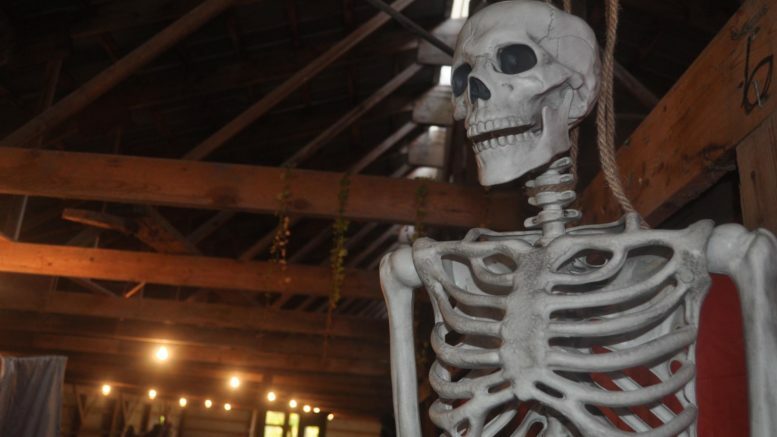 Families seeking some thrills and chills for Halloween may wish to head to the agricultural buildings at the Napanee Fairgrounds Saturday evening for Lennox and Addington 4-H’s Spooktacular evening. This year, the association had an events planning club, which was tasked with taking on fundraising efforts and community events. After hosting a successful Easter Extravaganza in the spring, the club members set their focus on Halloween and worked to build something interesting for the community. Over the summer, the 4-H participants held meetings to discuss food, decorations, costumes, and activities they could realistically add to the mix. Each was responsible for a different aspect of the night. “It’s part of the mantra of ‘learning to do by doing,’” added fellow leader Nan Keyes. Poole said the haunted barn should be something to see as there will be fog, lighting effects, and a wide range of Halloween curiosities. Simcoe Street resident Bill Stanley, who often has an impressive display at his home, graciously loaned the 4-H participants some of his collection to add to the display. During the event, there will be a children’s costume contest. Those between ages 0-5 will be judged at 6 p.m., those from 6-10 will be at 7 p.m. and 11-15 at 8 p.m. Admission to Spooktacular is $5. The 4-H Association will also hold a canteen and bake sale to raise money, which will be used to support youth programming in the county.